When people hear the phrase "the middle of the Mojave Desert" , they often think of desolation, open flat lands with nothing around for hundreds of miles. 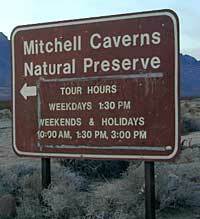 That may be true for some sections, but not this portion of Mojave National Preserve. 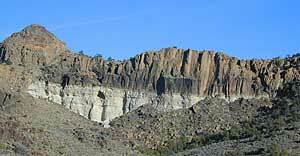 The park itself features cool volcanic rock formations, historical railroad systems, sand dunes, plenty of vegetation: joshua trees, sage, junipers. Rings Trail @ Hole-in-the-Rock - Self Guided trail w/ steel rings as ladders. 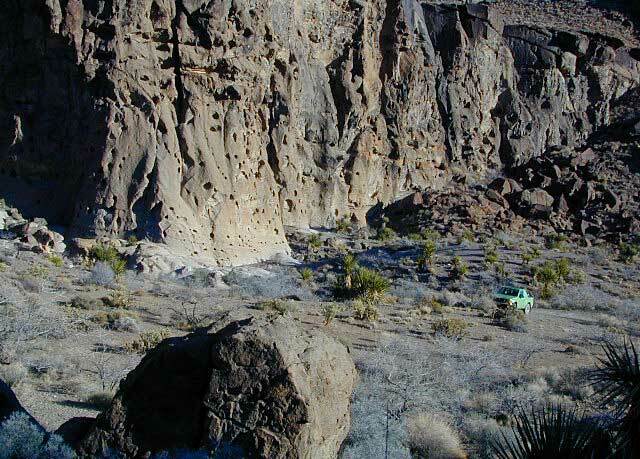 Climb up steep walls with 'metal rings' near Hole-in-the-Wall Campground; picnic area & Visitor Center nearby. Teutinia Peak Hike - 10.4 mi. south of Interstate 15 on the east side of Cima Rd. Trail head for Teutinia Peak is nearby on the opposite side of Cima Rd. Boulders for Scrambling located near Mid Hills campground. Easy to get to via the dirt roads located behind the campground. Great views and seclusion can be found atop the biggest boulders. 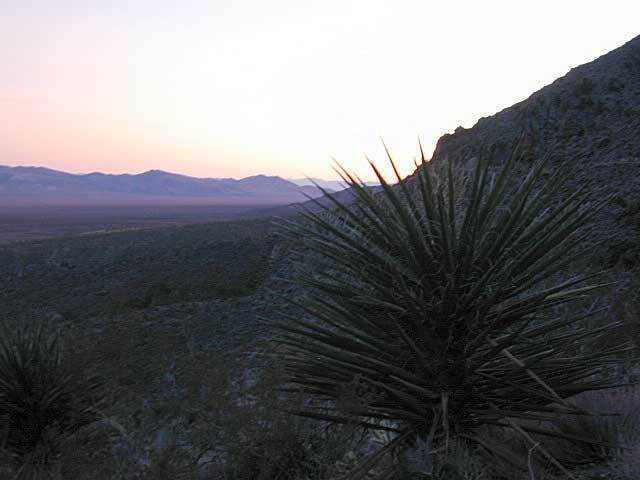 Pack a picnic and make of whole day of it, exploring Mojave desert just the way you want. ENVIRONMENTAL WARNING NOTE: The decade of drought in California has truly taken a very serious toll on the natural brush and desert vegetation. Areas of Mojave Mid Hills experienced a wildfire recently, so some pinyon pine forest areas are a bit toasted. Night hikes are super cool and the lava tube is dark in some spots. Bring a flashlight in any case. ROADSIDE CAMPING: Get a park map & explore the dirt back roads .. there are plenty of great hidden spots to camp along these roads. Rangers ask that you please use an existing site (with rock ring) in order to prevent additional scars. Some places are not suitable for RV travel & many roads will require 4wheel drive. Remember not to slow down or stop in soft sand, you are likely to get stuck. Kelso Sand Dunes - sites are located near the gate and the end of the access road to the dunes. 2-3 sites. Rainy Day Mine Site - 15.2 mi. south of Baker on Kelbaker Rd. Go 0.3 mi. north of Kelbaker Rd. on the road leading to Rainy Day Mine. 4x4 vehicles only. No RVs. 3-4 sites. Black Canyon Rd. - 5.2 mi. 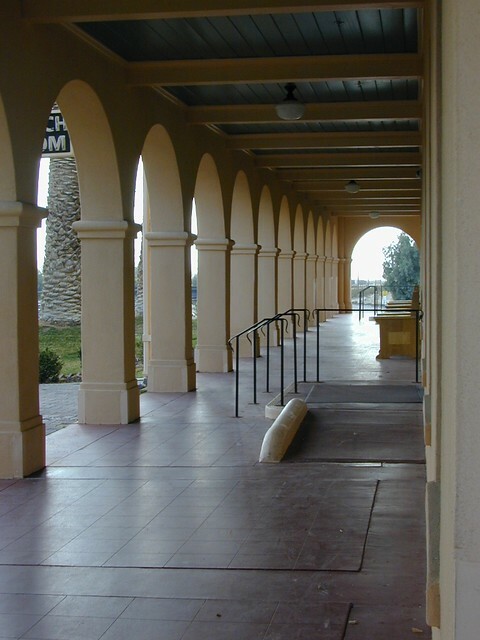 south of Hole-in-the-Wall Visitors Center on the east side of Black Canyon Road. 3-4 sites. Powerline Site - 11.8 mi. north of Kelso on Kelbaker Rd., where power lines crossed the road. 2-3 sites. Caruthers Canyon - 5.5 mi. west of Ivanpah Rd. on New York's Mountains Rd. 1.5 to 2.7 miles north of New York's Mtns. Rd. to camp sites. No RVs. 3-4 sites. Sunrise Rock - 10.4 mi. 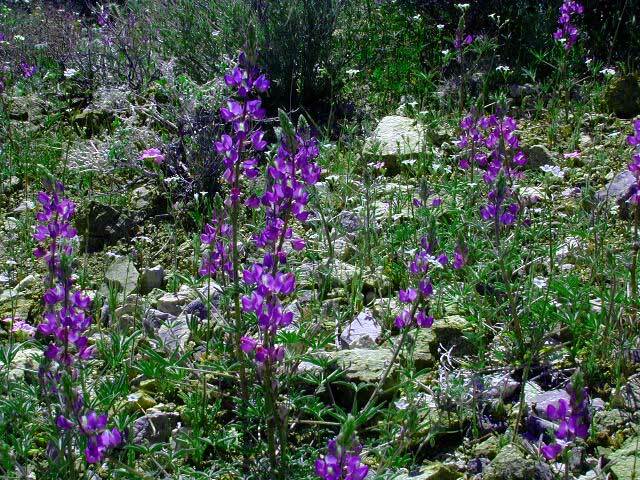 south of Interstate 15 on the east side of Cima Rd. 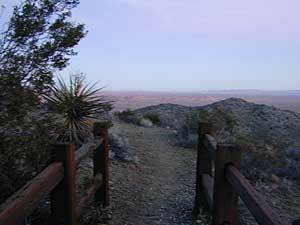 Trail head for Teutinia Peak is nearby on the opposite side of Cima Rd. The majority of this Natural Scenic Area is dirt back roads, so get your self prepared & take precautions: water, warm clothes, matches, tune up. Also get your SUV out & ready to explore. Many roads will require 4wheel drive, but there are still plenry suitable for 2WD. Remember not to slow down or stop in soft sand, you are likely to get stuck. Easy Loop Rd./ Wild Horse Canyon Rd. 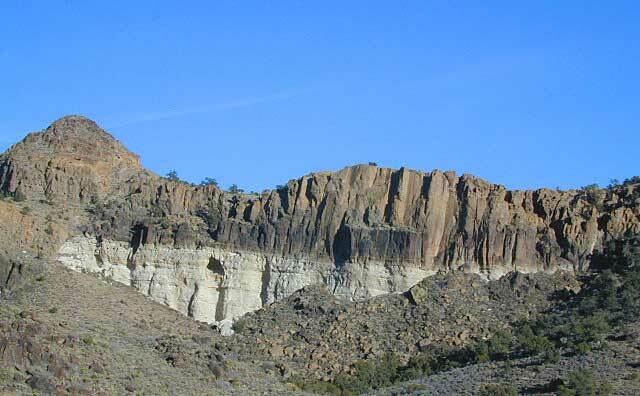 - Off of Black Cayon Rd, just south of Hole-in-the-Wall Visitors Center starts a loop road that circles around the back side of Hole-in-the-Wall & leads up to Mid Hills campground. A few spur roads trail off & are limited in use. Pay close attention to signage. 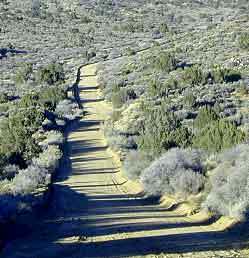 Mojave Park has 1600 miles of dirt roads open to explorers. Only street legel vehicles are permitted in this desert preserve. ATVs, quads and dune buggies are not permitted; All vehicles must remain on open roads. So read this: No cutting across the desert like a wild man. Save that froadin' stuff for Barstow baby!